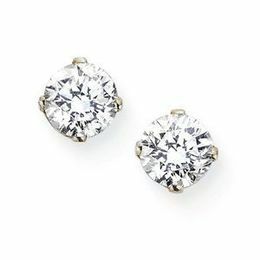 These gorgeous diamond stud earrings are set in 14 karat white gold and feature .24 carat total weight diamonds which are GH in color and i1 in clarity. Stock Photo. See store for details.